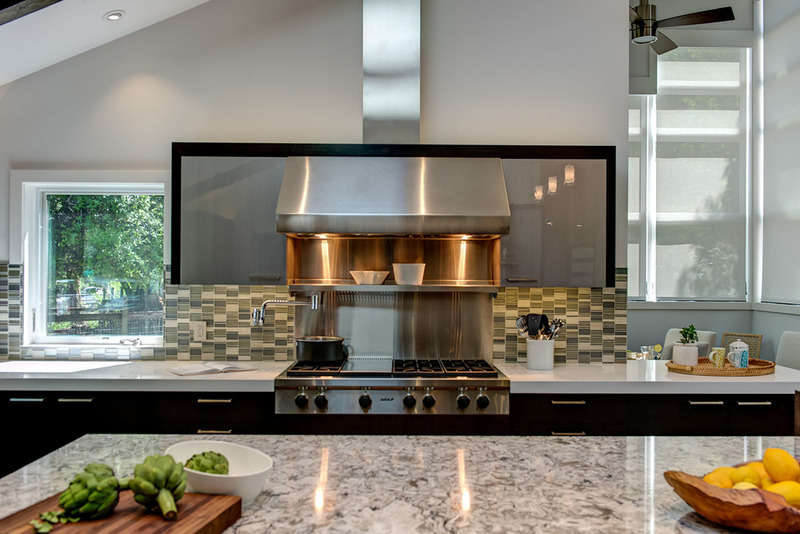 This Design Build Install Only contemporary kitchen remodel, was designed to stay true to the integrity of the ranch style home. 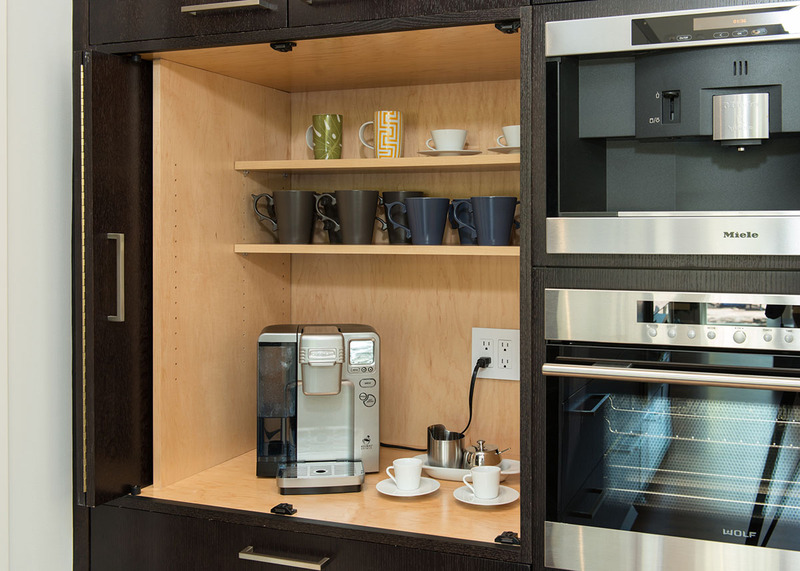 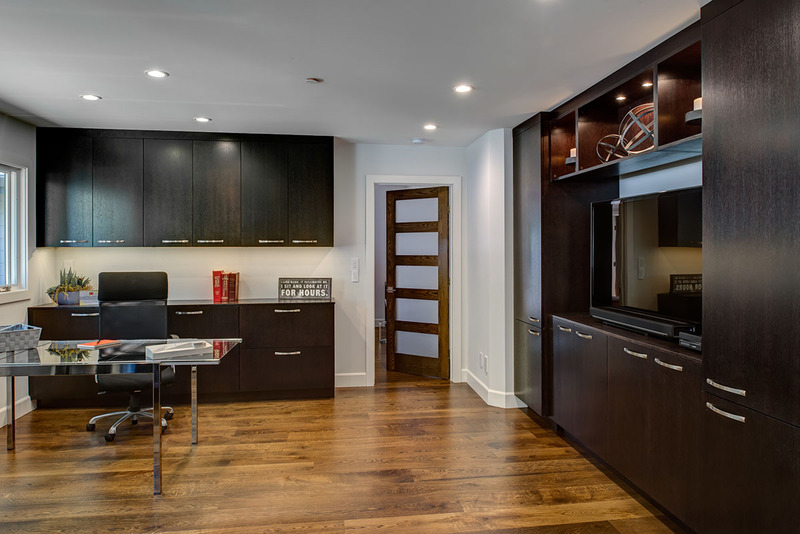 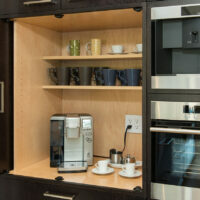 Cabinets with a sleek wired gloss finish were paired with dark stained quarter sawn oak cabinets to create a juxtaposition between sharp and earthy elements. 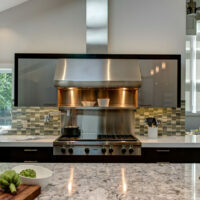 Three different countertop surfaces were used to visually designate different zones in the kitchen for cooking, prepping and casual dining. 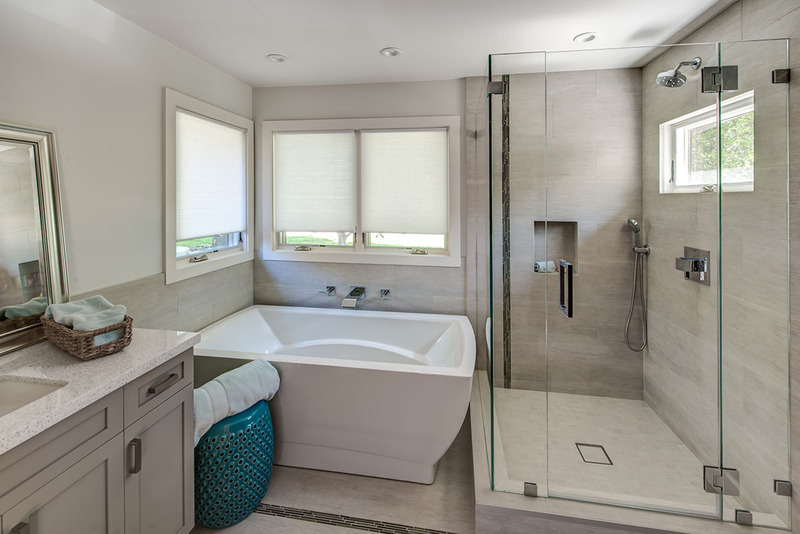 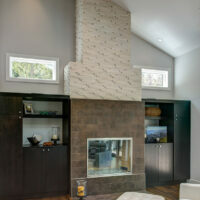 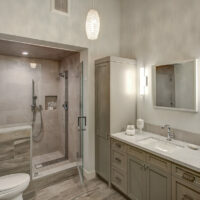 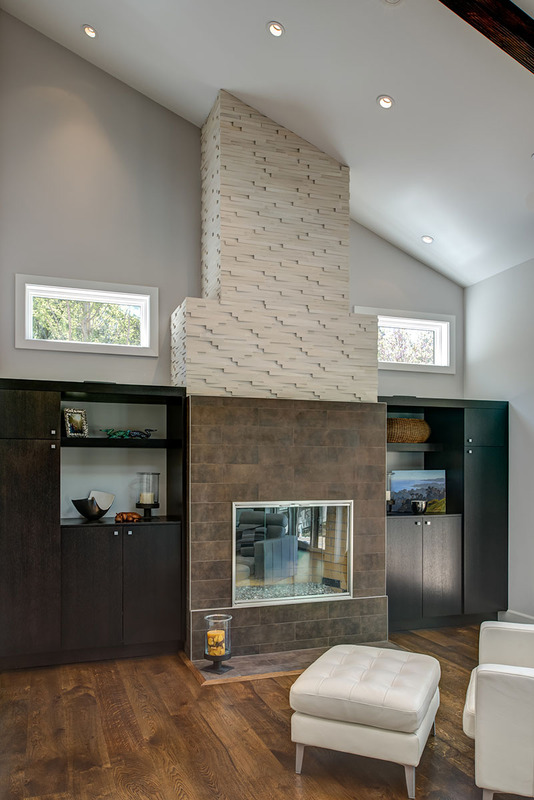 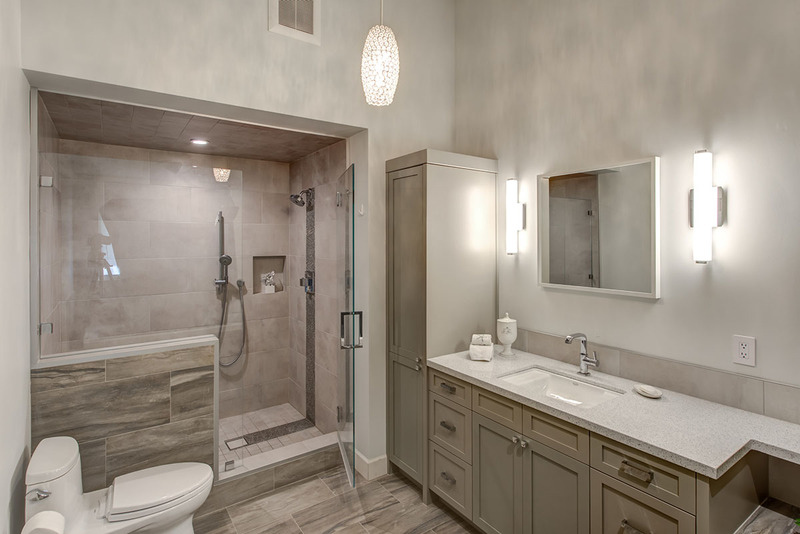 Finally, a tile mosaic with glass and travertine was incorporated into the space to bring in natural elements. 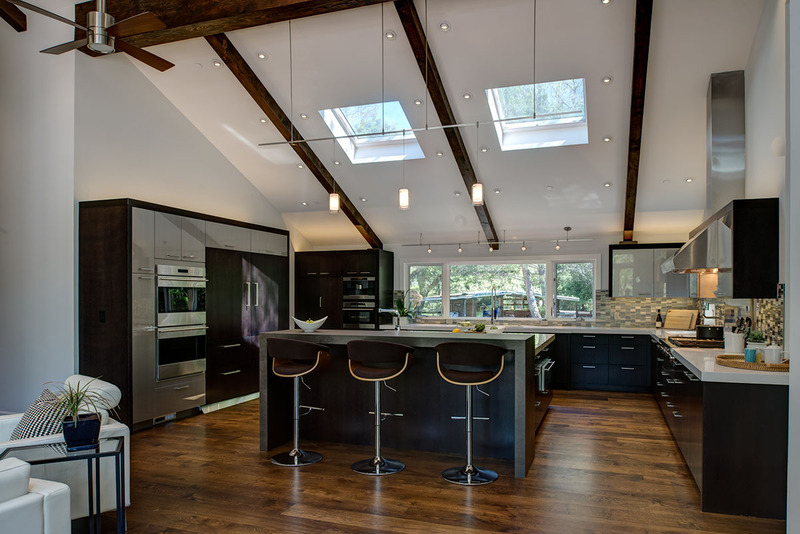 In order to create cohesiveness in the expansive home, the same quarter sawn oak cabinetry was used in other parts of the home, such as the family room, dining room, home office and wet bar. 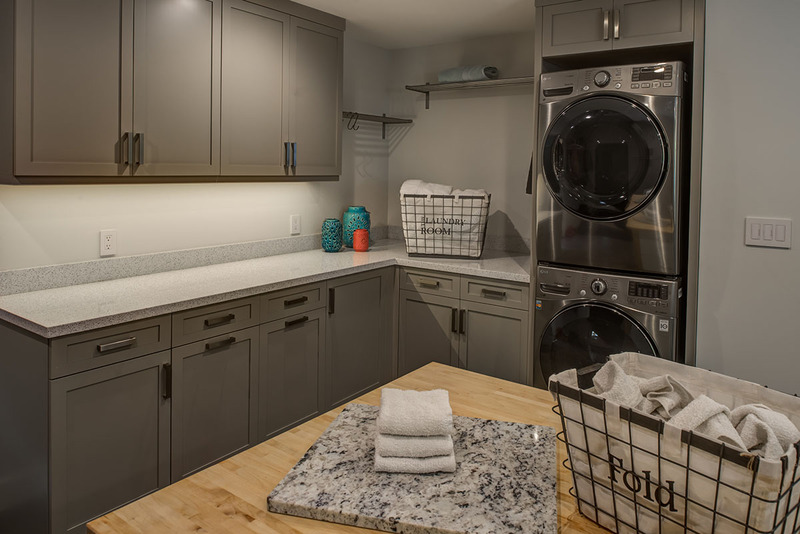 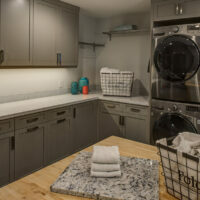 Painted cabinets were used in the laundry room, guest bath, and master bath for some variety, and different manufacturer was also used to meet the client’s desired budget.